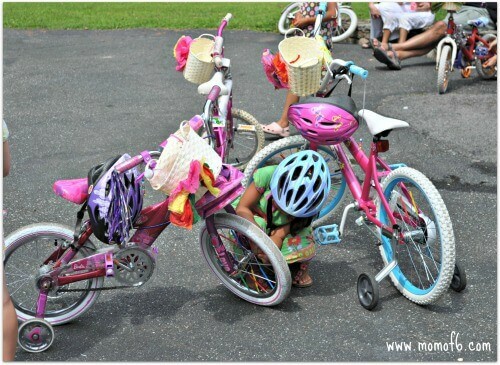 Great Idea for a 6 Year Old Birthday Party: A Bike Decorating Party! My daughter Lili Ann loves riding her bike, and was especially proud when she mastered riding it without the help of training wheels! 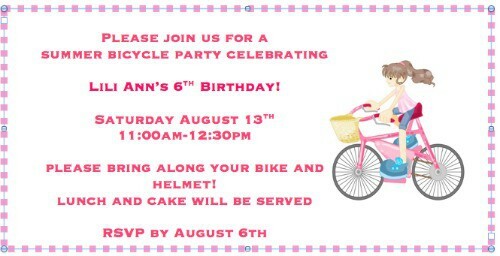 What better way to celebrate than with a bike-themed birthday party? 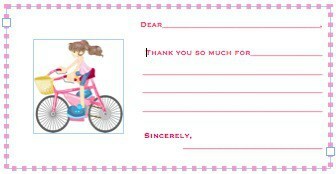 And because little girls love crafts and decorations we decided to ask guests to bring along their bikes for a fun party of bike decorating and obstacle course riding, along with some homemade party foods! 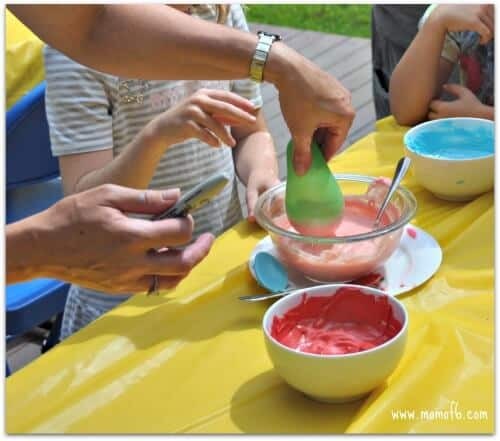 This was one of those parties where I did allow ambition and creativity get in the way of my own party planning sanity… and I packed a few too many activities into the ninety minute party! And the fact that it was in the mid-90's and I planned the activities on a sunny deck rather than in the shade didn't help! But the girls didn't seem to mind… and had a great time! We started the party by dipping balloons (water-balloon-sized) into melted chocolate to create our chocolate cups for dessert, and placed them inside of the house to cool and harden. 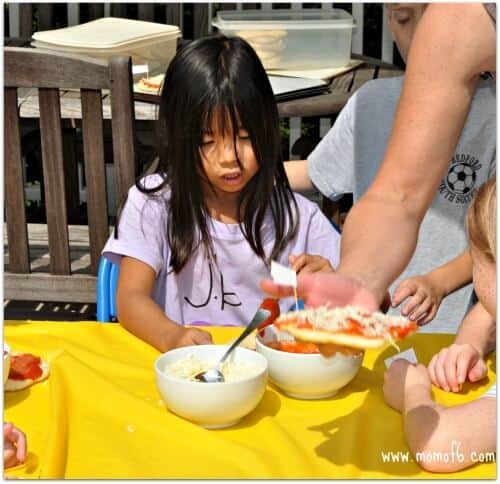 Next the girls assembled their own pizzas by adding the sauce, cheese, and favorite toppings on pre-baked homemade pizza crusts. Every pizza was marked with a flag with the guests name (in order to match the right pizza with the right guest later on!). Next we moved onto the bike decorations…. which included folding our own tissue paper flowers to attach to a woven basket which would adorn the front of every girl's bicycle. Prior to the party day, I had cut open dozens (okay, hundreds) of colorful drinking straws and cut them to the proper length so they would make beautiful bicycle spoke covers! The kids headed out to the driveway to attach their new bike baskets and streamers and some of them spent a long time adding all of the spoke overs as well. 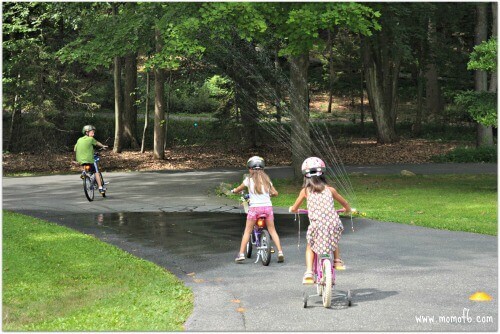 We created an obstacle course in the driveway for the girls to weave back and forth through cones, ride underneath pool noodles “tunnels”, and pedal quickly past sprinkler waterfalls. This was the best part of the party…. to see how fast they could pedal to avoid getting wet- and then squeal when the sprinklers caught them anyway! 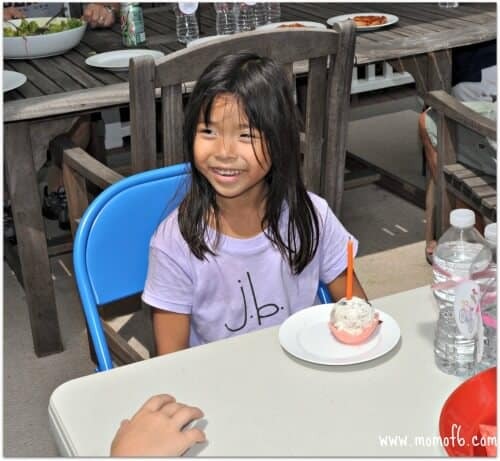 For this party, my daughter didn't want a cake… she wanted to make the chocolate ice cream cups with her friends…. And she loved the idea of giving homemade cookies as party favors…. so I found a fantastic bike-shaped cookie cutter, and tried my hand (for the first time!) making royal icing to decorate them! This was such a fun party theme, and super simple to put together. The kids had a great time, and I enjoyed myself as well! So do you think your daughter would love a bike-decorating party? Please leave a comment below and share your thoughts! 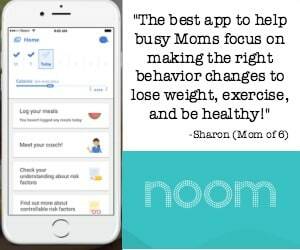 « Great Lunchbox Alternative for Kids that Won’t Eat Sandwiches! A bike decorating party is a good idea. 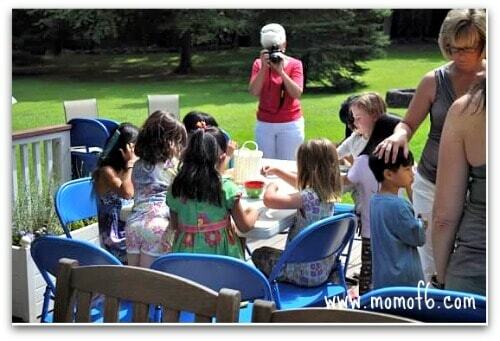 Very creative way to celebrate kids’ birthdays! This party is just extra ordinary You did an awesome job on those bicycle cookies.love the bike party idea.I will try it my next party. Extremely useful information specially the closing phase 🙂 I handle such info much. Thank you! I love that you have an order of events. Hey sharron. Did you all eat the pizzas right after making them? Before decorating bikes? Did you open gifts at party? I’m doing same exact party next month for my 6 year old girl. I’m very excited! Was the cookies the only party favor? Did you put them in a bag some how? Sorry so many questions. I believe we did one of the crafts after assembling the pizzas which gave them time to bake and then cool. And generally- we do not open gifts at our kids parties- I save that for later after the guests have gone home. 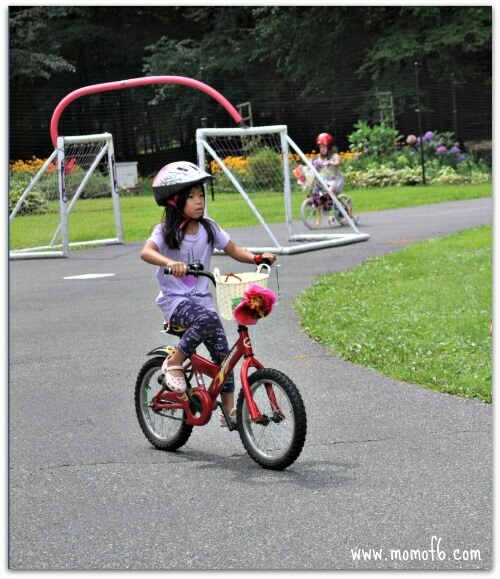 Ys, the cookies were the only party favor- but the guests also took home their decorated bikes with the new bike basket. The cookies were packaged in cellaphane bag, tied with a ribbon and a little tag that thanked them for coming. I hope that you have a great party! 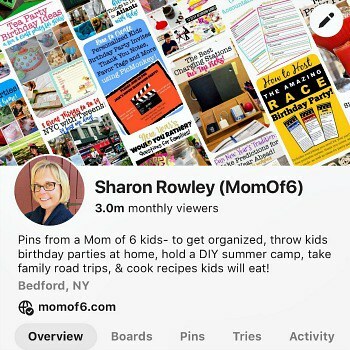 Hi Sharon, I really like your inventions and printables. 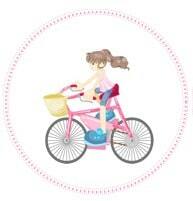 Would you mind if I use the bicycle invitation and personalise it? is this something that you can email me please? 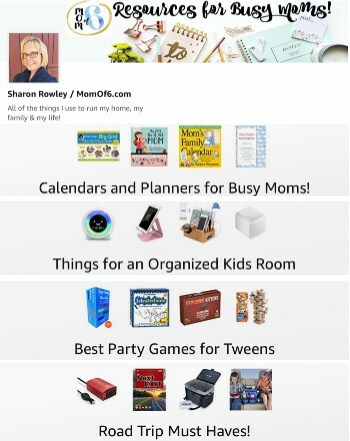 I just love your site for birthday inspiration! My daughter can’t wait for her bike decorating party. 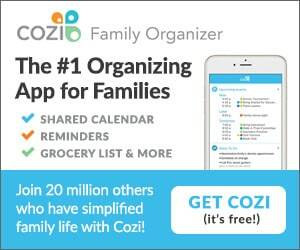 I’ve been pricing baskets – do you mind telling me where you found yours? Thanks! I am pretty sure that I purchased them at dollardays.com. Their assortment changes all of the time, so they might not have the exact ones I purchased, but they’ll likely have something that will work. Have fun at your party! 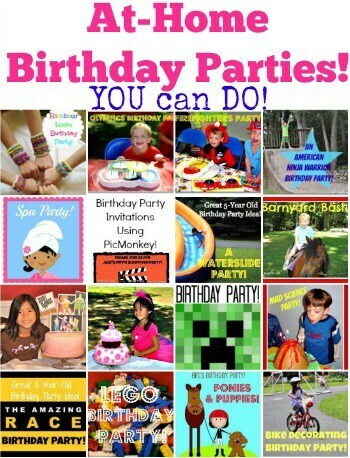 What a fun birthday party idea!!! I’m going to have to pin this for safe keeping. We are in the process of teaching Xander how to ride a bike and it’s soooo slow going. It’s hard to believe that some day he will be riding a two wheeler like it’s no ones business. It will happen faster than you can imagine Mindi! Thanks Angie! I was quite proud of those cookies- that I figured out how to use the royal icing and and they actually came out pretty cute! What a fun idea for a party. 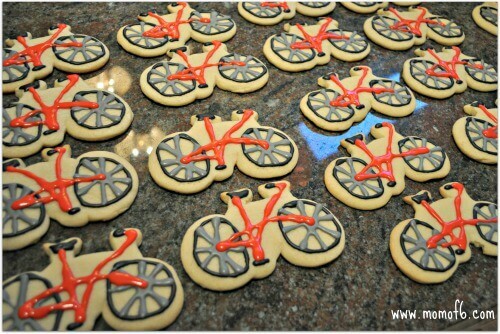 You did an awesome job on those bicycle cookies!